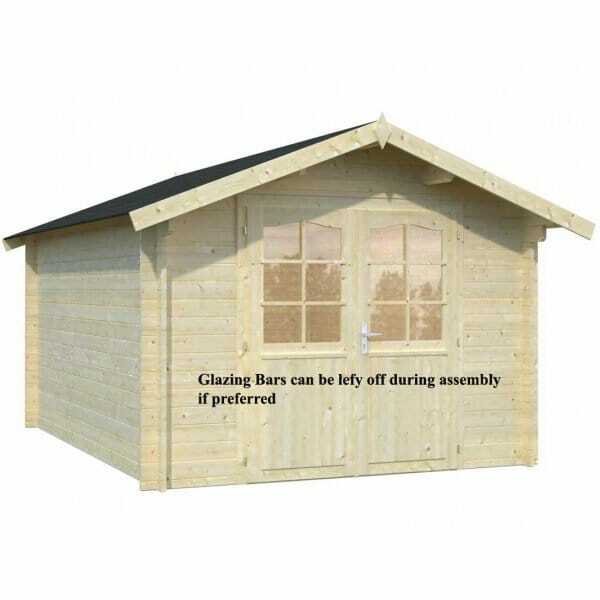 Palmako Lotta 10m² Log Cabin: The Palmako Lotta 10m/sq Log Cabin is rarew in that it is 2.7m Gable x 3.8m Deep - most cabins are wider than they are deep but this is opposite so you can select to fit your outdoor space. With floor space starting at 10.0m² this size would suit people looking to create a playroom or a small home office. The larger sizes of the Palmako Lotta have floor space up to 10.m² which would be ideal for a home gym or a large entertainment suite. The optional roof felt also ensure your log cabin is protected during bad weather and will extends the life and use of the cabin.